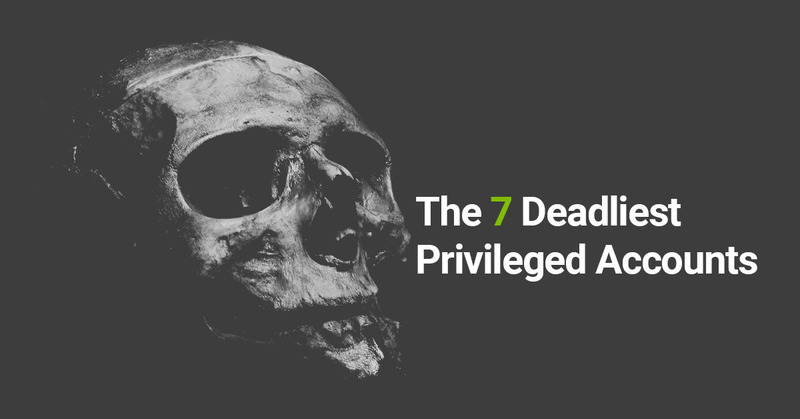 In far too many cases these privileged accounts are managed with shared passwords or default passwords, making them an inviting target for exploitation. 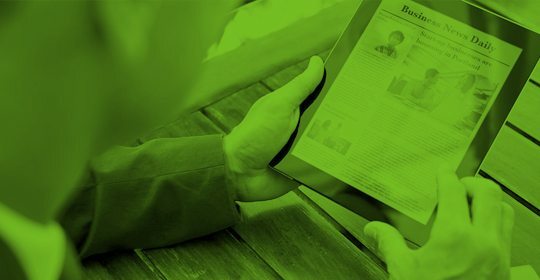 Thycotic’s 2017 Black Hat Survey tells the whole story. Nearly a third of hackers surveyed said exploiting privileged accounts was the fastest and easiest way to get at critical information assets. 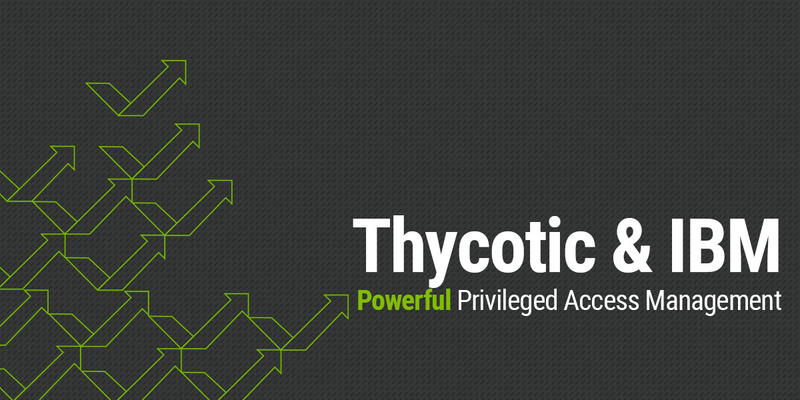 To familiarize you with the risks posed by undetected and unprotected privileged accounts, Thycotic has introduced a free online tool that enables you to perform your own PAM Risk Assessment in a matter of minutes. It then delivers to you a PDF report that details your results in a numerical score and highlights key areas of risk through a color-coded matrix. 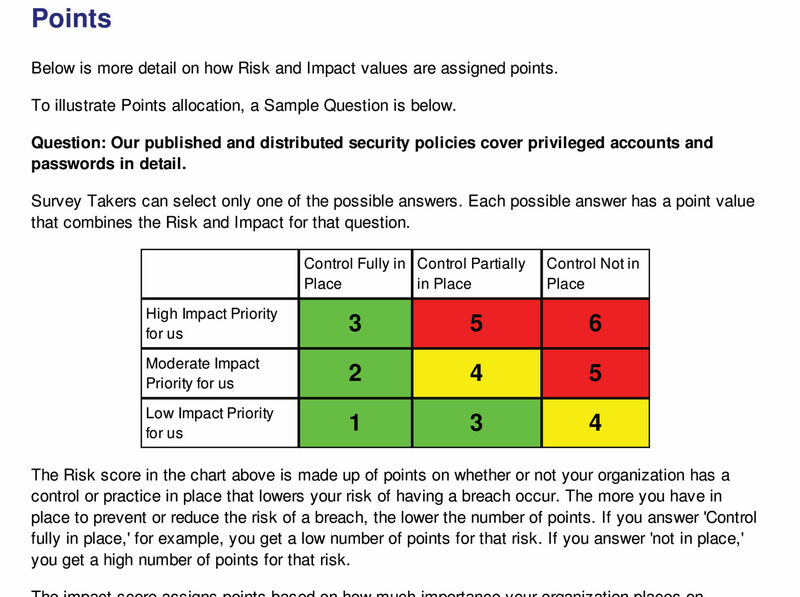 So, you get an immediate gauge of your organization’s risk posture associated with Privileged Account Management practices. 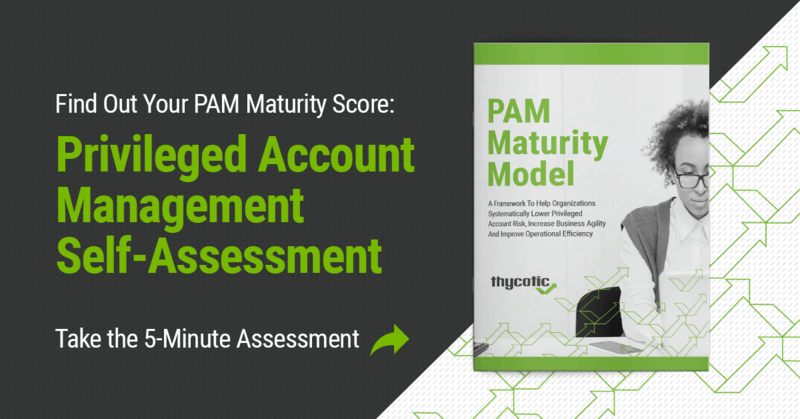 What makes Thycotic’s PAM Risk Assessment so valuable? Thycotic’s risk assessment is especially valuable because the questions are based on the full spectrum of regulatory and compliance guidelines compiled from organizations such as ISO, NIST, PCI, CIS CSC, and EU General Data Privacy Regulations (GDPR). There’s nothing like this kind of risk assessment available free of charge that we know of. It can potentially save you thousands of dollars in consulting fees, and days of effort in producing a similar PAM Risk Assessment based on these industry-leading standards. It’s an ideal way to get a better understanding of your PAM vulnerabilities, especially for small to medium size organizations that cannot afford the high cost of consulting fees that come with a typical risk assessment. 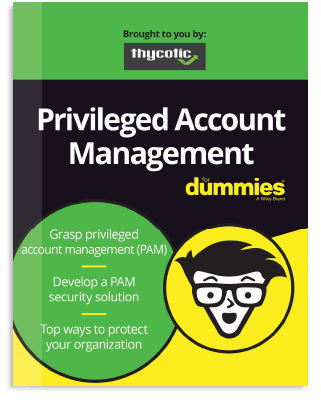 Best of all, it can be used to start a conversation in your organization about the best ways to protect and manage your privileged accounts. And, it could help justify the need for more resources and funding to improve your privileged account security. 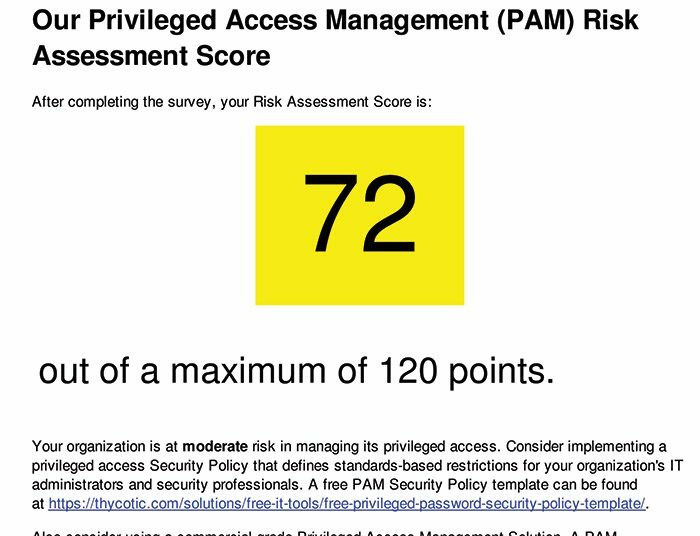 Take a few minutes now to check out the FREE PAM Risk Assessment and get your score. 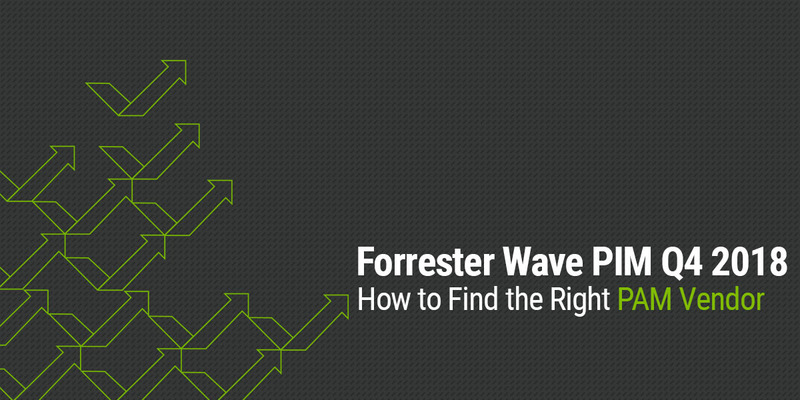 It could change the way you manage and secure your privileged access from now on.